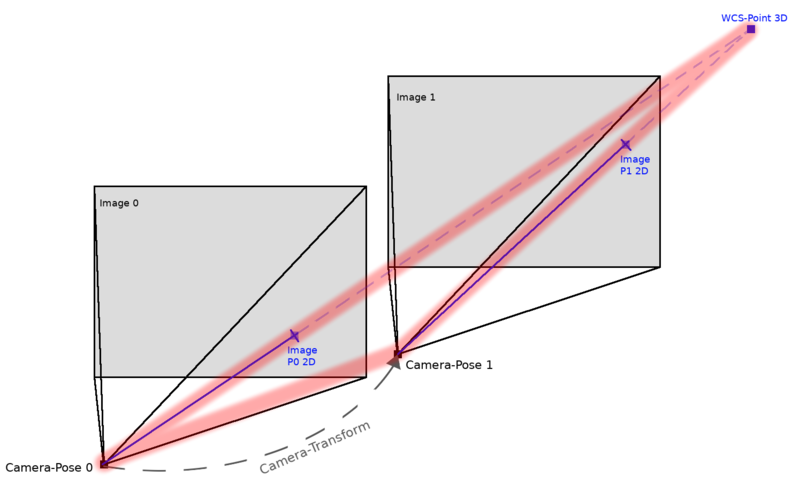 In this post I will present two things: the first is how to project a point from known 3d-coordinates to the image plain (2d-coordinates) using the camera-matrix and external transformations (rotation and translation). The second part shows how to use the Direct Linear Transform (DLT) method described in Hartley & Zisserman’s Multiple View Geometry for linear triangulation (this is the method implemented in OpenCV’s triangulatepoints(), so we will use this). print "Abracadabra, are these the coordinates you put in the hat?" Abracadabra, are these the coordinates you put in the hat?